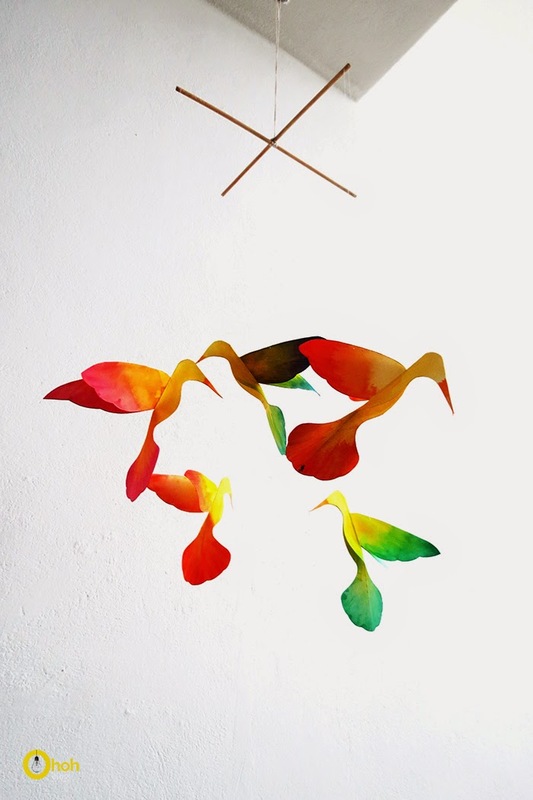 One of my friend get some pretty wooden hummingbird from Oaxaca. They are so beautiful I wanted some for myself …but I’m not traveling to Oaxaca any soon. So I made a paper version, what do you think? 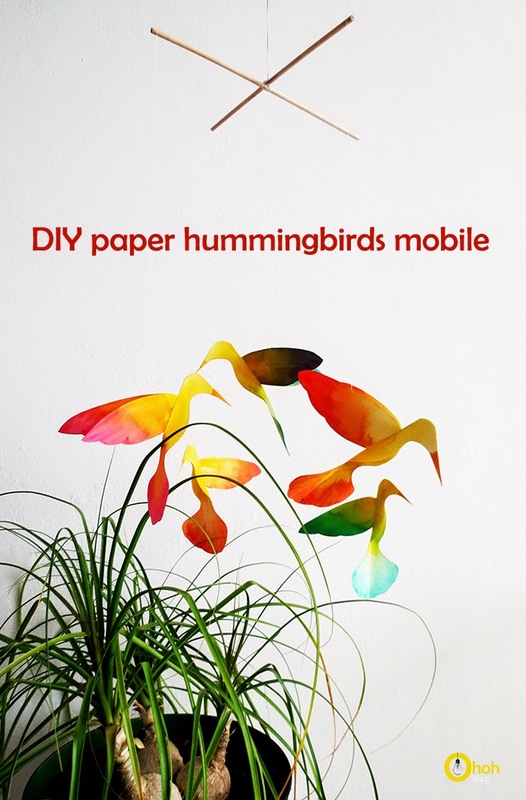 I made a free printable so you can craft you own version of this hummingbirds mobile. I suggest you to use a thick drawing paper. 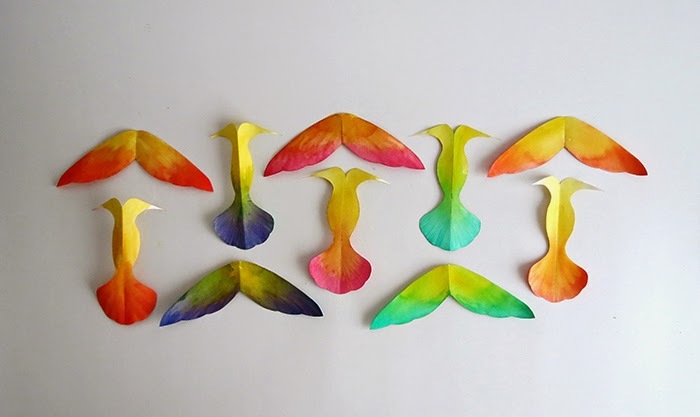 If you don’t feel comfortable with all that artistic part, you can just print the birds on colored paper. I only used water colors a few time, so I definitely not an expert. The last birds I painted turn out way better than the first…In general, I think it’s not to bad for a beginner. 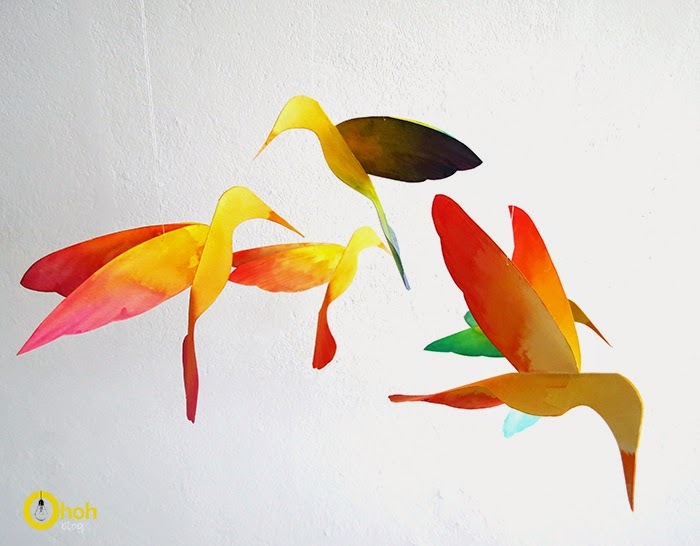 Once the birds are painted and dry, cut a slit in the middle following the marks. 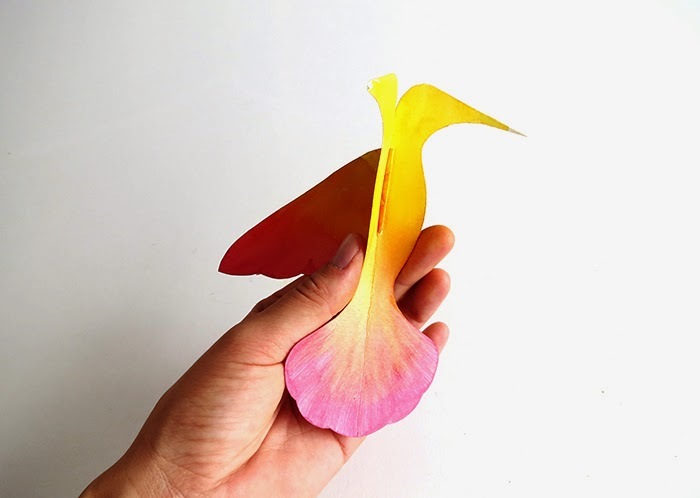 Fold the wing and slide it into the bird body. 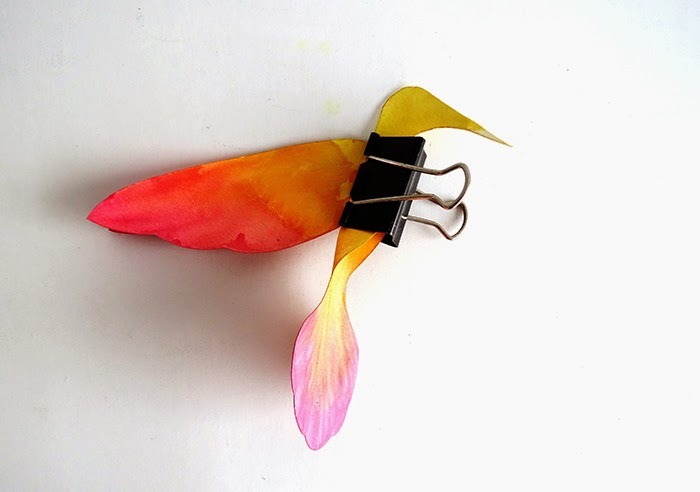 Put some glue on the bird head, beak, and on the wing base. 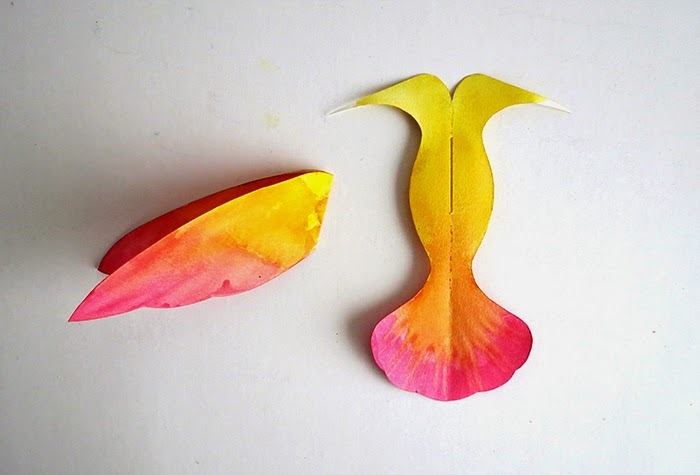 Fold the bird body and let it dries. 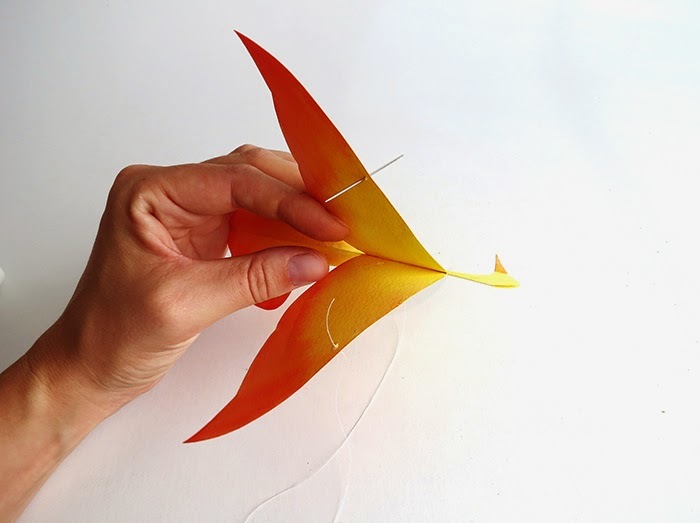 With a needle, pass a thread on each wing to hang the bird. Fix the thread with a little glue. 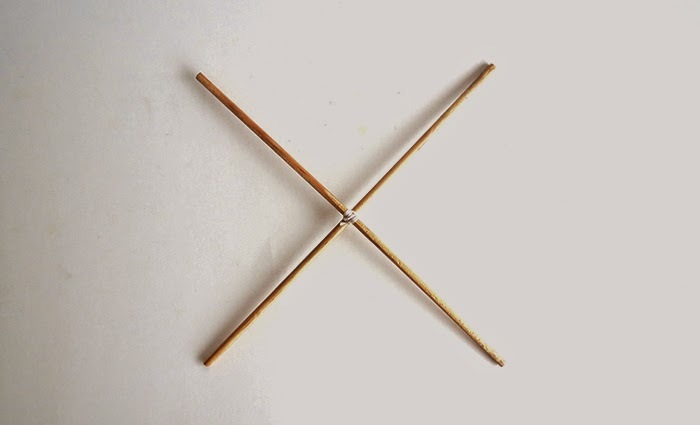 Cut two dowels pieces, about 12′. Attach them together with thread. Hang the birds on the wooden cross. One in the center and four others at each end. And done! I love them bright colors. It’s quite relaxing to look at them moving slowly with the air. I hope you like it, and don’t hesitate to share your realization in the comment section! You may also like the heart mobile I made with upcycled plastic bottles. Bien vu, ils sont dans la chambre d'Emmy! 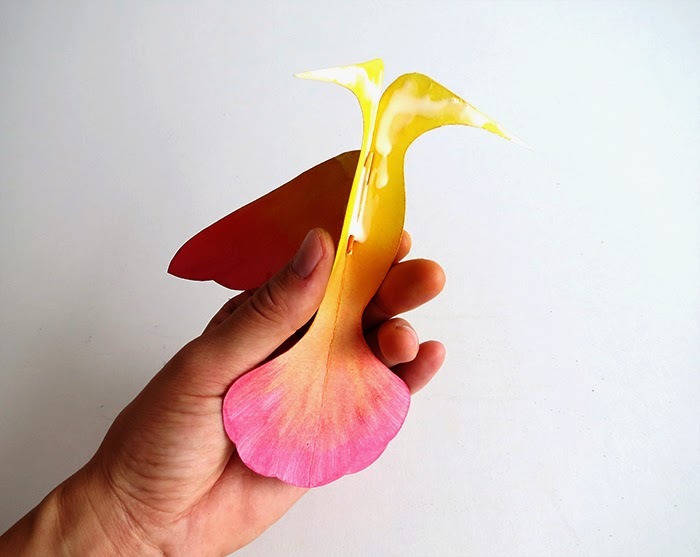 Or maybe you like it because is made with paper? Thanks for this nice comment Ann! 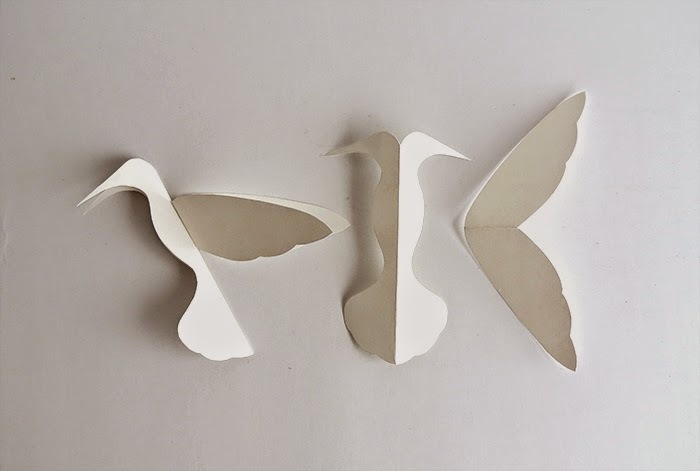 How did I miss this post, w when I was desperately trying to recreate the Spool-Birds for my bird-themed nursery? I was literally crying, because the birds looked like seals. (Also I was very pregnant.) This is so much better! Hi Dalia! I'm glad you like it! I hope it's still on time to finish the nursery! 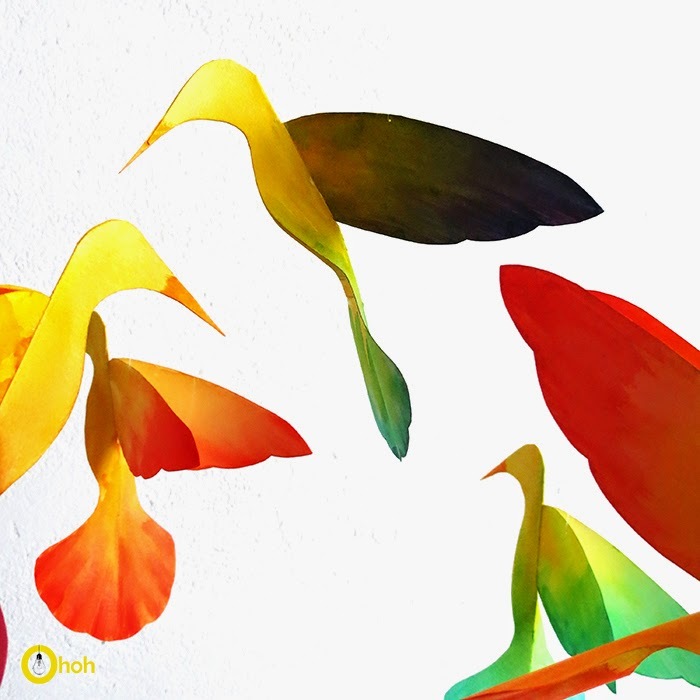 I collect hummingbirds, and truly am amazed how beautiful your creations are. I haven’t done anything like these and would love to. Thank you. 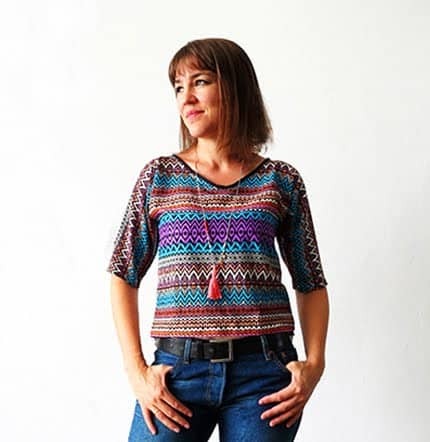 Hello Maria, I’m glad you like them…have fun making the mobile!